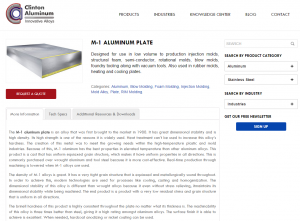 Clinton Aluminum is the Midwest’s #1 aluminum distributor, focused on developing B2B relationships with its customers throughout the United States and around the world. We provided a custom-coded solution in WordPress which dramatically improved the look and useability of Clinton’s website. All of Clinton’s aluminum and stainless steel products were uploaded with fresh images and descriptions. The products are now grouped into appropriate categories and industries, making it easier for a visitor to find what they want. 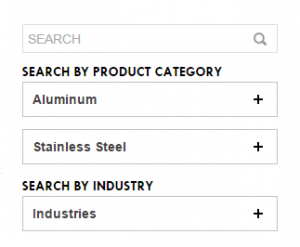 This enhanced search functionality is built in to the sidebar and is available on nearly every page of the website. 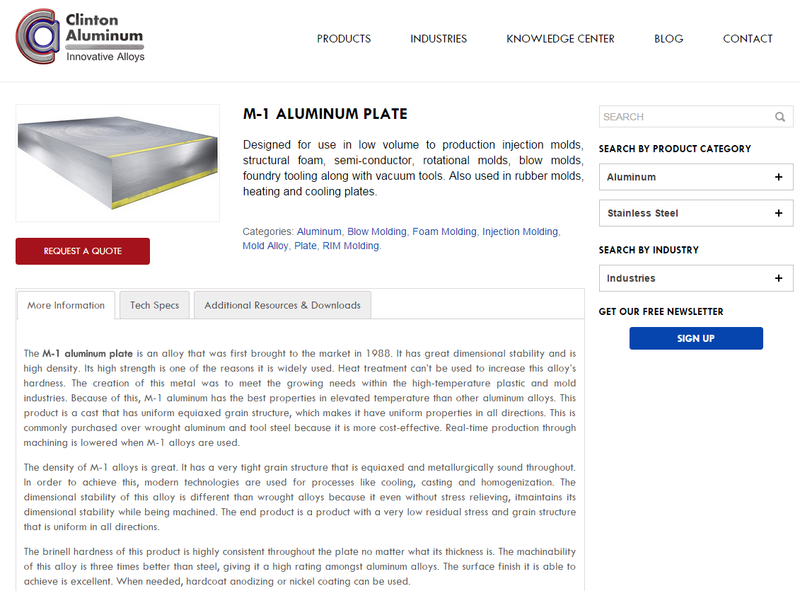 The new ClintonAluminum.com features over 100 product pages with rich descriptions that give customers useful information for making a purchasing decision. The additional content and useability help the product pages rank better in Google. Plus, organic traffic from Google is up over 50% since the new site was launched in December 2014. “We just landed a deal for $6500 this morning that came from the website. They were a customer in Virginia that had bought from us before, but not since 2009. We have no rep in that area, so web access was the single driver of us getting that order. We have had a fair share of customers in our current database that have been using the online form for quoting, too. I feel very good about the results we are seeing. The results definitely show that web exposure is beneficial.